We get a large number of inquiries from homeowners who are not sure if their heating system is safe. Before anyone uses an unfamiliar system, or one which has not been regularly serviced, it should be inspected. Even if you use your fireplace, stove or furnace on a regular basis, there are many things that can happen to the system without your knowledge. The hidden effects of weather, animals, corrosion and even abuse can compromise the safety or integrity of your heating system. Without a proper and professional inspection you might be under the false impression that your system is safe and ready to use when it actually is not. The National Fire Protection Association (NFPA) recommends that “chimneys, fireplaces and vents shall be inspected at least once a year”. Level 1: This level of inspection is the most common and is designed to evaluate systems that have had no change since the previous professional inspection. A Level 1 inspection is conducted by visually looking at the component parts of the system and should be all that is needed if you don’t plan on making any changes in the upcoming heating season. Level 2: This level of inspection is generally called for when there is a change in fuel type, type of appliance and home ownership. In addition to what is done in a Level 1 inspection, this level includes a more detailed and thorough inspection of the system often including a video inspection. A chimney fire or lightening strike can also warrant a Level 2 inspection. 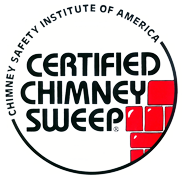 Level 3: This level of inspection includes a complete evaluation of the chimney and surrounding structure with removal of parts as necessary to expose concealed areas. When it comes to proof, there is nothing more important than seeing it for yourself. 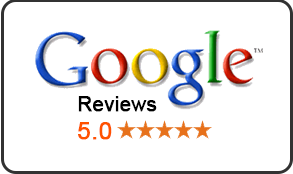 That is why we at Clean Sweep Chimney Services provide visual documentation to our customers whenever possible. You see what we see. We are often able to show you the condition of the interior and exterior of your chimney by simply taking still photographs with a digital camera. Such images may be sufficient to visually confirm a problem and help you understand what we found during our inspection. We are then able to personally and accurately explain a possible solution. 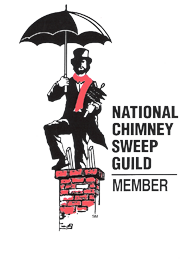 In some cases the structural soundness and safety of a chimney can only be detected by the use of a video camera. An in-depth look of the chimney interior can often reveal unseen problems such as flue liner cracks, water damage, blockages or other compromising conditions. This allows you to see things that we have found that have gone unnoticed. With this documentation at hand, we can then share our findings with you and make our recommendations right in your home. 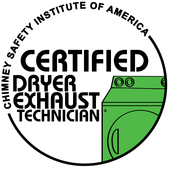 We believe that this approach will enable you to make informed decisions for any needed chimney repairs. Following our inspections, we provide our customers with a documented service report as well as any supporting images that they may wish to keep on hand. 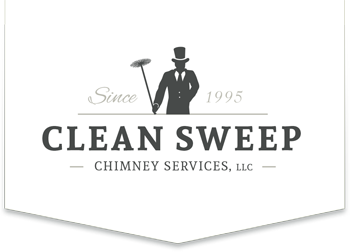 We at Clean Sweep Chimney Services will be happy to schedule an appointment and come to your home to perform a professional evaluation of your system.